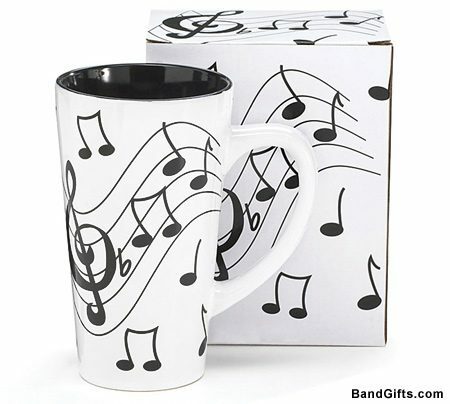 Scale & Music Notes Mug – Carry around your favorite beverage in this Scale & Music Notes Mug. The black and white ceramic mug makes a great music gift for all musicians whether they be a drummer, piano player, guitar player, or vocalist. This mug features a a white exterior with black music notes and a solid black interior. Made from ceramic. Approx. 6″ High. 16 oz. Dishwasher safe and FDA approved, microwave safe.